Two days of kitesurfing action focused around you with your own dedicated and qualified kitesurfing instructor in one of the best kite surfing destinations in the world. 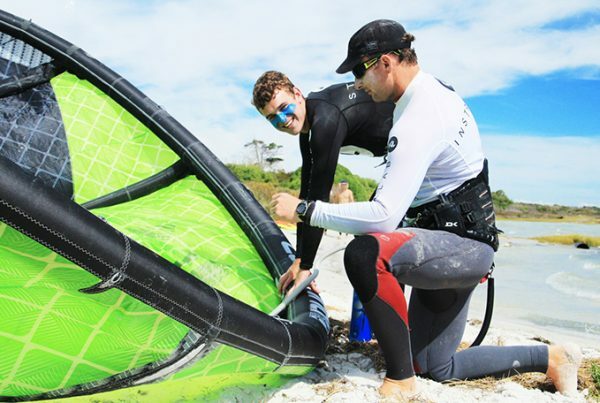 The 2-day Kitesurfing Lessons with Personal Instructor course gives you the opportunity to have a 1-on-1 interaction with your instructor to help you learn at a pace that is driven by you. 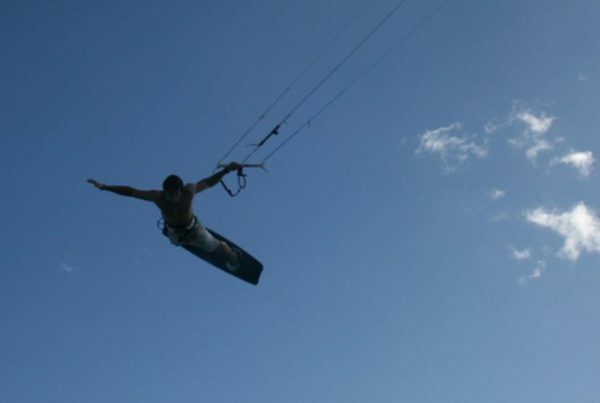 The Kitesurfing Lessons with Personal Instructor course aims to get you riding in both directions, how to read the conditions and utilise your equipment safely and correctly. The average person only requires 2 days, although some students prefer to do an additional day or two of lessons to gain complete confidence. All equipment is included such as wetsuits, harnesses, kites, boards and safety equipment (Helmets & Impact Jackets) We use radios for easy communication between the Instructor and the student therefore your instructors voice will always be next to you giving you expert advice and ensuring a quality lesson. We only use the latest kites. For the conditions to be suitable we will need about 12 knots on day 1 and 15 knots plus on day 2. Kite Lab will contact you 2-3 days in advance to keep you updated regarding conditions to try to prevent you from arriving on a windless day. If however you are unlucky with the wind will we reschedule on the next available date that suits you. If you are here on holiday and only have specific dates, will there be no problem with a full refund or voucher for your next date available. Arrive at Kite Lab shop at 9 am if not specified otherwise, quickly sign an indemnity form, make payment via Visa, bank transfer or Cash and we set to GO GO GO!!! We start with teaching you the basics; this includes setup of your equipment, safety features that you will utilise and how to fly a small 2 m trainer kite. When your instructor feels you are ready can we then head to the water, on day one we will only be using the kite and not go on the board just yet. Entering the water is when the fun starts! Here we will teach you to properly fly an inflatable kitesurfing kite, body drag at top speed down wind and learn to re-launch your kite with ease if you crash it in the water. On day one you will be comfortable flying the kite, know what to do in any situation and re-launch with ease. Completely dedicated to the board lesson; we travel 3 km to a location called Shark bay situated in the lagoon and adjacent to the national park. The conditions here are perfect for the board lesson with warm shallow water allowing the instructor to be right next to you during the entire lesson. We will spend the full lesson here with a rest break after 2 hours. Be sure to bring snacks and drinks to keep yourself energised through the session. We look forward to exceeding your expectations on what you thought were possible and becoming another completely satisfied Kitelab Hero!